A bespoke website built to collate tools and plug-ins for the fast growing and expanding VFX industry. To create a quick and easy content management system driven website. 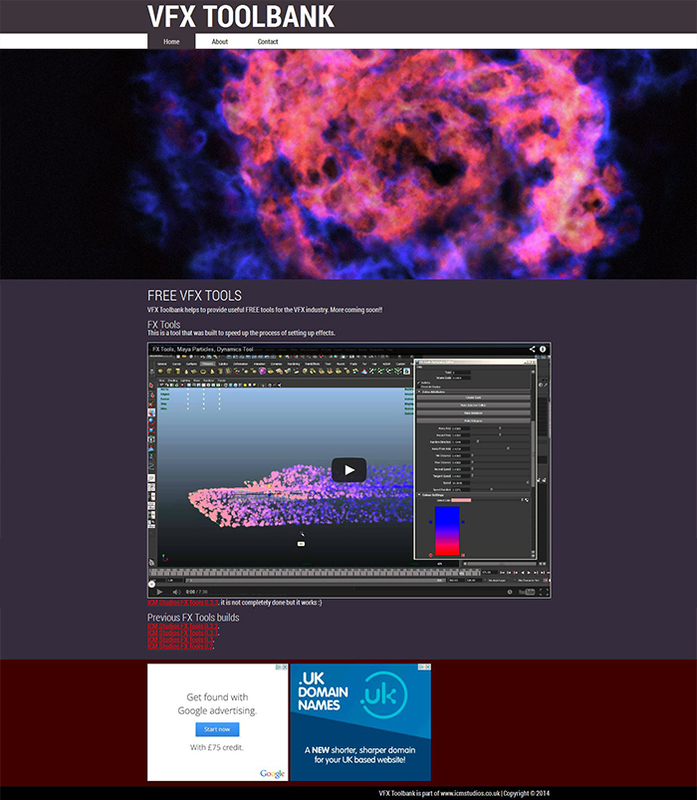 The design for VFX Toolbank's website needed to be simple and easy to navigate. We wanted a place that was seperate to ICM Studios to house all of our free Visual Effects tools for Maya. The most logical and simplest idea was to create a new website. Although still in its infancy the website is managing to entice customers to the free tools. Over the coming year the website will grow to include many more of our tools and the design will evolve keeping up to date with current and new web trends!